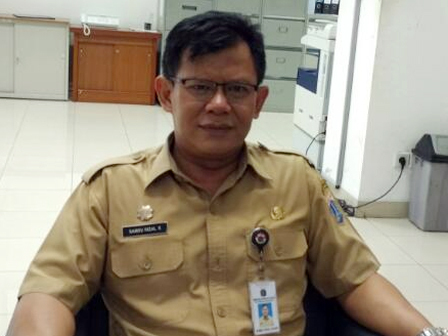 Retribution fee which obtained from fostered street vendors (PKL)s selling in three fostered locations (Lokbin)s and 68 temporary locations (loksem)s in South Jakarta is targeted could reach Rp 1.6 billion this year.
" This year we targeting retribution fees from Lokbin and Loksem could reach Rp 1.6 billion"
South Jakarta Small Medium Enterprise Cooperative and Trade (KUKMP) Sub-dept. Head, Syamsu Rizal said, until January 2017, the obtained retribution fees from Lokbin is Rp 37,200,000 and Loksem Rp 4,467,000. "This year we targeting retribution fees from Lokbin and Loksem could reach Rp 1.6 billion," he said, Tuesday (4/11).